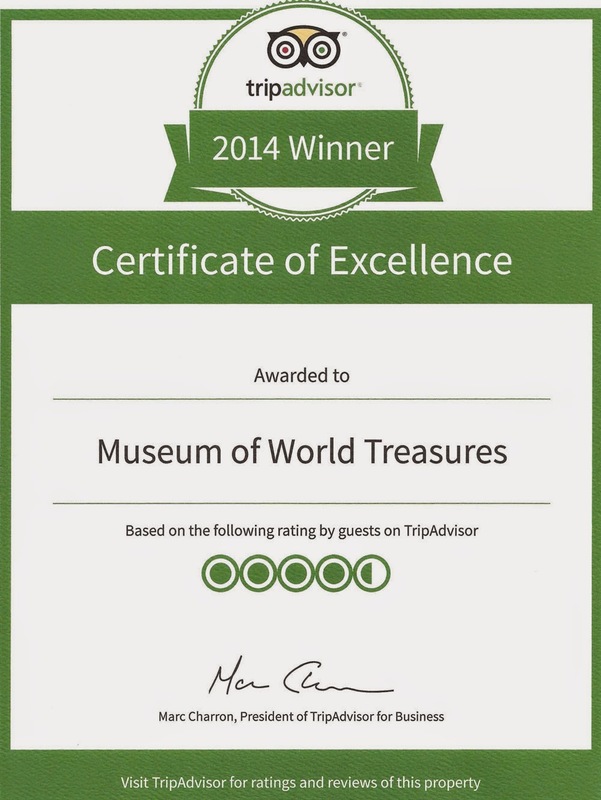 The Museum of World Treasures is happy to announce that it received the 2014 TripAdvisor® Certificate of Excellence award. The accolade, which honors hospitality excellence, is given only to establishments that consistently achieve outstanding traveler reviews on TripAdvisor, and is extended to qualifying businesses worldwide. Establishments awarded the Certificate of Excellence are located all over the world and represent the upper echelon of businesses listed on the website. This award recognizes the Museum as a top performing attraction as reviewed by travelers on the world’s largest travel site, TripAdvisor.com. The Museum also received this award in 2012 and 2013.